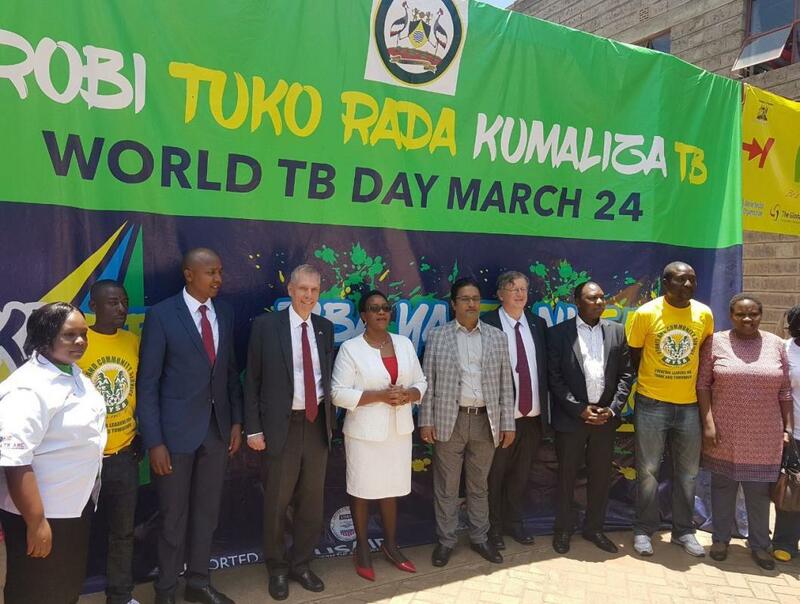 Kenya joined the world on March 24 to commemorate World Tuberculosis (TB) Day and to raise and build public awareness about the devastating health, social and economic consequences of TB. 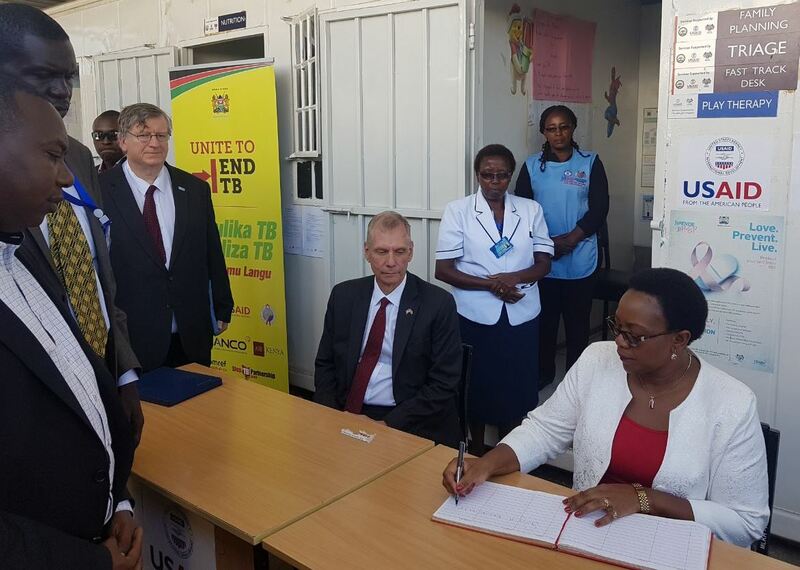 The day was also used to step up efforts to end the TB epidemic. The day provides a platform to shine the spotlight on the disease and mobilise social and political commitment to accelerate efforts to end TB. Despite the good progress made in TB control in Kenya, the country is facing one of the highest burdens of TB in the world. TB is the 4th largest killer responsible for about 29,000 deaths every year. In 2017, an estimated 169,000 people fell ill with tuberculosis in Kenya and about half went undiagnosed and untreated. The 2018 global theme was "Wanted: Leaders for a TB free World" customised for Kenya's context to: "Mulika TB (shine the spotlight on TB)! Maliza TB (Finish TB)! Ni Jukumu Langu (It’s my responsibility)" and a call to action for all to Get Tested, Get Treated, Get Cured for TB. To commemorate World TB Day 2018, WHO-Kenya joined the Ministry of Health and other TB partners at the Mathare Youth Sports Association Grounds within Nairobi County. 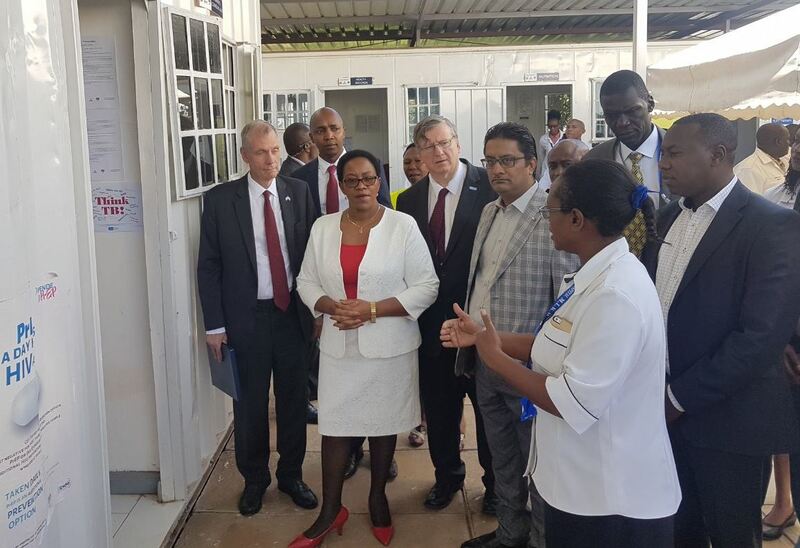 Gracing the event was the Cabinet Secretary (CS) of Health, Mrs Sicily Kariuki EGH, US Ambassador Robert Godec and World Health Organisation Country Representative, Dr Rudi Eggers, among other guests. A football tournament dubbed ‘Mulika TB Tournament’ saw local football teams play while creating public awareness on TB. In addition, TB and HIV screening were conducted. Speaking at the event, Mrs Sicily Kariuki noted that, Kenya was working towards achieving universal health coverage and that the Ministry had decentralised TB services across all 47 counties and to the lowest level of the health system. “The ministry recently enrolled all multi-drug resistant TB patients on the National Health Insurance Fund which means that all drug resistant TB patients can now receive their care at ease,” she said. The Ministry was striving to ensure that quality, affordable and accessible services were provided to all Kenyans, she added.  Sufficient and sustained domestic investment to address TB funding gap. 40% of needs for TB control in Kenya remain unfunded while the levels of external funding have flattened and starting to decline. Closing the funding gap will require national and county governments to invest more resources in TB control. The Ministry of Health to go beyond a purely health-led response and coordinate across a range of government departments addressing financing, health, education, social protection, housing, agriculture and poverty.  Maximize the use of proven methods to diagnose and successfully treat all types of TB.  Investment in UHC as part of ending TB. A TB-free world can only be achieved through leaders who champion efforts to end TB from the local to national level. Each person has a role to play. Mulika TB Maliza TB ni jukumu langu, na jukumu lako pia!